MOSCOW, November 4. /TASS/. 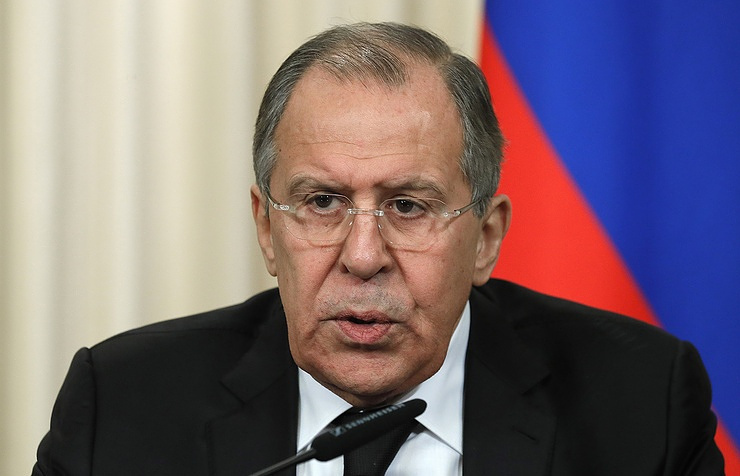 Russia’s Foreign Minister Sergei Lavrov decorated citizens of Pakistan, Lithuania, Hungary and Vietnam with Russian state awards - the Pushkin medals - for achievements in development of friendship and cooperation between peoples. "In the present-day world, very important are contacts between people, our ability to disregard the ideology-based approaches," the minister said. "State officials not always manage it, and thus we appreciate the people’s diplomacy and the input from those, who, like you, work on development of our friendly relations." "We are happy to have the opportunity on the day of the national holiday - the Day of People’s Unity - to decorate with the Pushkin medals the people, who have devoted a big share of their lives to promoting friendship between our peoples, to promotion the Russian language, the Russian culture and who favored mutual enrichment of the societies you are representing," the minister added. During the ceremony, the foreign minister addressed each of the awardees. "Mrs. Nguen Tuet Min was among those who 60 years ago began teaching the Russian language in Vietnam. You have educated many talented experts in the Russian language," he said. "Mr. Najam Sahar Bat is a person, who, besides his main, very noble profession, makes a huge input, makes high-class translations of our classic writers, including Gogol, Dostoyevsky, Bulgakov. We truly appreciate your founding of the association of graduates from the Russian and Soviet universities." Head of the Hungarian National Theater Attila Vidnansky, the minister continued, promotes the Russian literature and presents the Russian cultural heritage to the Hungarian audience. "We also appreciate your efforts in restoring the cooperation between Russian and Hungarian theaters." "And now - to Valery Tretyakov - the Lithuanian Courier’s founder and chief editor," Lavrov said. "It is a major Russian-language edition in Lithuania. We appreciate your input in protecting rights of the Russian compatriots, the input in fighting the attempts to falsify history." The state award - the Pushkin medal - was established in 1999 for achievements in culture, arts, education and humanitarian sciences.